Scranton, IOWA - New Way® Trucks of Scranton, Iowa kicks off 2015 with the launch of a new website. 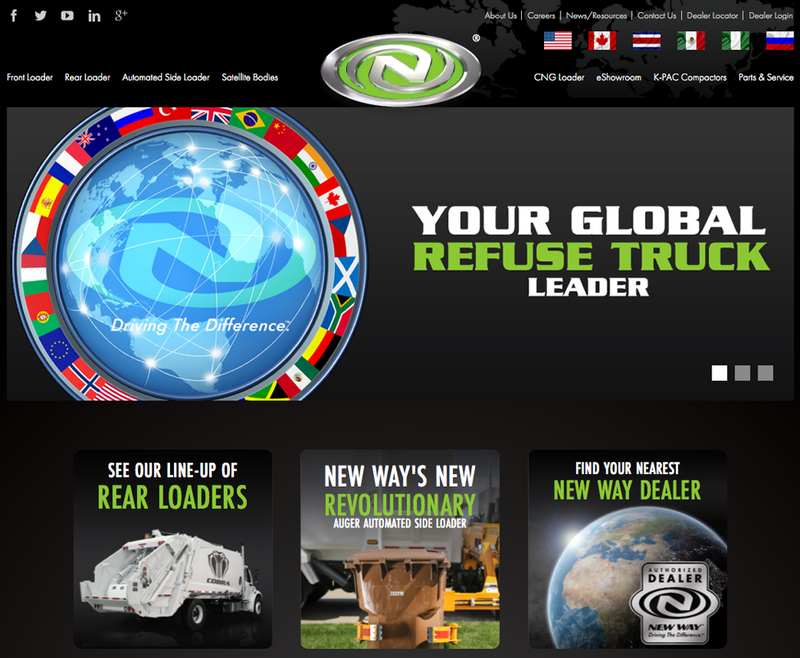 The global leader in refuse truck manufacturing has updated the site to offer added value and convenience to customers. New Way® saw an explosion in growth in 2014, which included the introduction of the first organics and municipal solid waste collection vehicle in the world, the ROTO PAC®. The new site provides dealers and customers with more detailed information and demo availability of the ROTO PAC® along with all other refuse collection vehicles. In addition, a Dealer Login area and Parts & Services section have been included to assist the New Way® Trucks dealer network with sales and service.